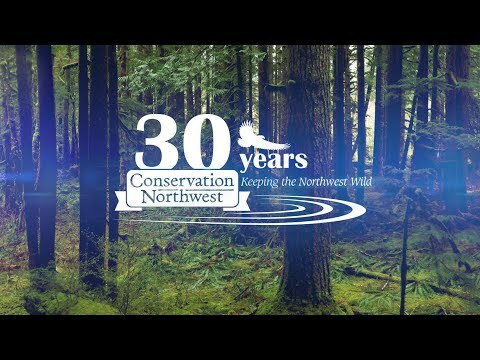 The current Forest Plan on the Colville National Forest has been in place just a year longer than Conservation Northwest has been “Keeping the Northwest wild”, and we’ve been actively involved in its update from the beginning. National Forests are directed to update their Forest Plans every 15 years. These plans set the tone for the entire Forest, how it’s managed, and how it’s used. Currently, the Colville National Forest in northeast Washington is in the process of updating their Forest Plan which, last updated in 1988, is almost 30 years old. While the plan is adaptable, and has been amended numerous times since 1988, it’s outdated and doesn’t reflect the current best science. This plan sets the stage for everything that is done on the Forest, making it inherently important. An overview of the forest planning process can be found here. A year ago, the Colville National Forest released a draft plan to the public for comments. Both independently and as a member of the Northeast Washington Forestry Coalition, Conservation Northwest submitted comments to highlight what we saw as good and bad in the new Forest Plan and provided reasonable solutions to the issues. The problem is, the plan still doesn’t go far enough to protect old-growth forests, connect large landscapes, restore native wildlife and protect and restore our aquatic resources, all things we’ve been working on since our inception. Glaringly, the plan falls short on permanent protections for the wild areas of northeast Washington. There are over 220,000 acres of inventoried roadless areas and several tens of thousands of acres of non-inventoried roadless areas. Unfortunately, the draft Forest Plan only recommends 69,000 of these acres for wilderness. We’ve worked with the Northeast Washington Forestry Coalition to secure agreements on permanent protections of roadless areas since the early 2000s, and we’ve now broadened our scope to work with a newly formed group called the Tri-County Forestry Group. This diverse group encompasses interested parties from the three counties – Ferry, Stevens and Pend Oreille – where the Colville National Forest resides. Participating parties include conservation groups, timber industry members, non-motorized recreation and motorized recreation interests, local government, grazing interests and others. This broad spectrum of participants make collaboration a challenge, but we’re committed to finding agreements that don’t compromise our values and provides all members with a solution. Currently, the Colville National Forest is coordinating with the U.S. Fish and Wildlife Service to finalize its Biological Assessment to guide Endangered Species Act consultation on the Forest. Once these final meetings are complete, the Revised Forest Plan and Final Environmental Impact Statement will be distributed – likely within the next month – to the public for a 60-day comment period. Following this, a Record of Decision is planned for early 2018. For more information on the Colville National Forest Plan Revision and ways to get involved, check out its webpage. We’ll be watching closely to make sure the good things in the plan don’t go away, like the standard to reduce road density to less than two road miles per square mile in some areas and less than one road mile per square mile in more sensitive areas. Some other important pieces include grazing standards that reduce damage in riparian zones and keep our native vegetation healthy, and the important and scientifically valid decision to designate the whole forest (outside of inventoried roadless areas) as restoration-based management. We’ll also keep working to ensure that the Plan meets our standards for National Forest use and protection, both for the wild and future generations. Stay with us and check us out Facebook, Twitter and Instagram for updates and ways to get involved.